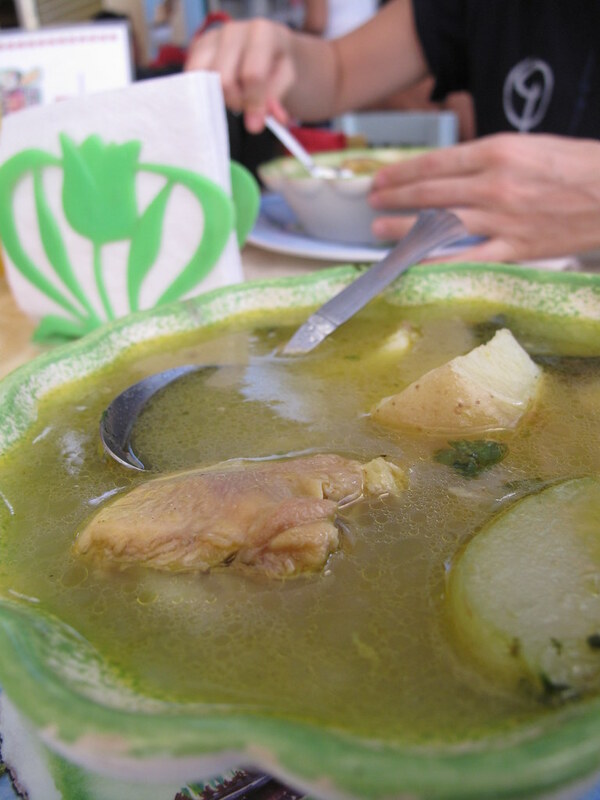 We had meant to travel through Mexico, and pursue adventure and food down to Central America. But somewhere along the way, the road led to the ocean. We had made our way to the Pacific Coast, where the heat clogged our pores, and time clung to us like honey, slowing us to a crawl. 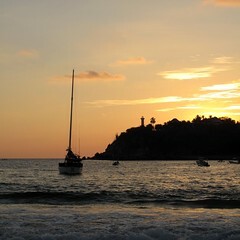 We had found Heaven at land’s end: Puerto Escondido, in the state of Oaxaca. 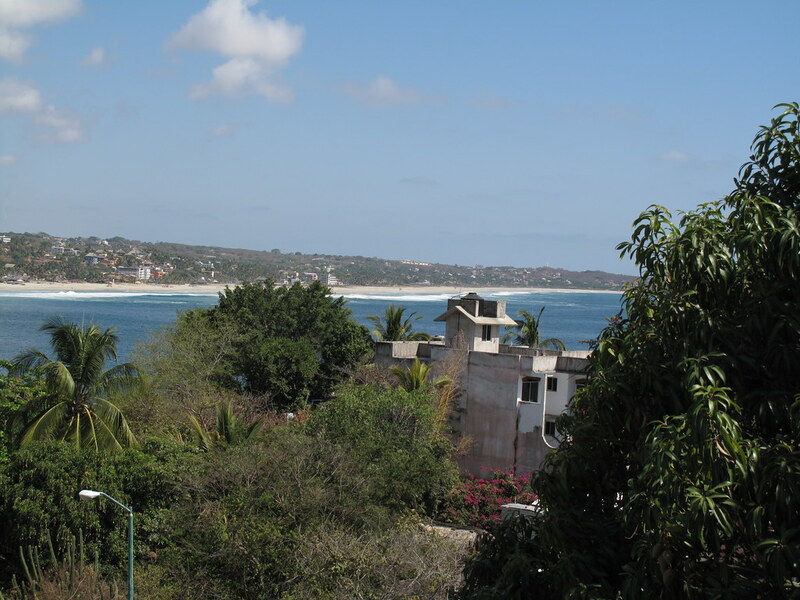 Many know Puerto Escondido as a tourist town; and if it were just that, it would still be worth a short visit. 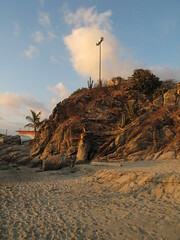 The main tourist area is centered near the beach, along the Adoquín, a paved street that turns pedestrian in the evening. 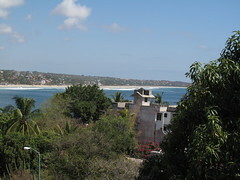 Puerto Escondido features many great beaches, lined with friendly restaurants and bars, where foreign and Mexican tourists alternate, and the various merchants hawk delicacies such as coctel de camarones (shrimp cocktail), fried plantain, fresh coconuts, and delicious coconut ice cream. 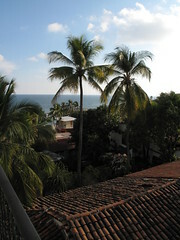 But walk down to the beach before the restaurants set up their parasols, and Puerto Escondido reveals a different scene. At sunrise, the fishermen of Puerto drive their narrow boats at high speed towards the beach, as fishmongers gather around them like pelicans to pick at the fresh fish. In a world of seafood of questionable sustainability, the fishing community of Puerto Escondido is the real deal. 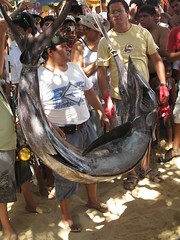 Fishing is the livelihood of many fishermen, as well as their primary source of money outside the tourist season, during which they sell sports fishing and boat tours. 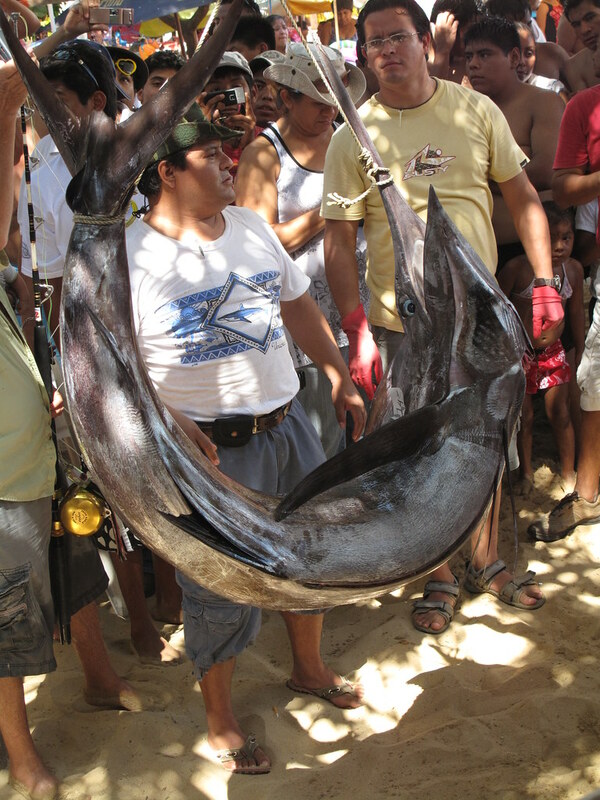 All their fish is captured by hand-tossed nets, or by fishing line. 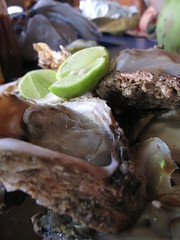 Their morning bounty is a testament to the abundance of fishes along the Mexican Pacific Coast: on any day, you might find red snapper and tuna, but also a large variety of small, sustainable fish stocks, such as the goggle-eyed ojotón, or the white cocinero. These “poor man’s fish” (in the words of the Puerto fishermen) are a real bargain: for 20 Pesos (less than $2 US), you can bring home six ojotones, and enjoy them fried in garlic, with a splash of lime juice. Go swim in the afternoon on Playa Principal, and you might have to dodge a fishing boat on its way to throwing a net in a school of ojotones. You can see the tiny fish flash their silver bellies as they jump out of the water near sunset, and from time to time you may swim right through a bunch of cocineros. 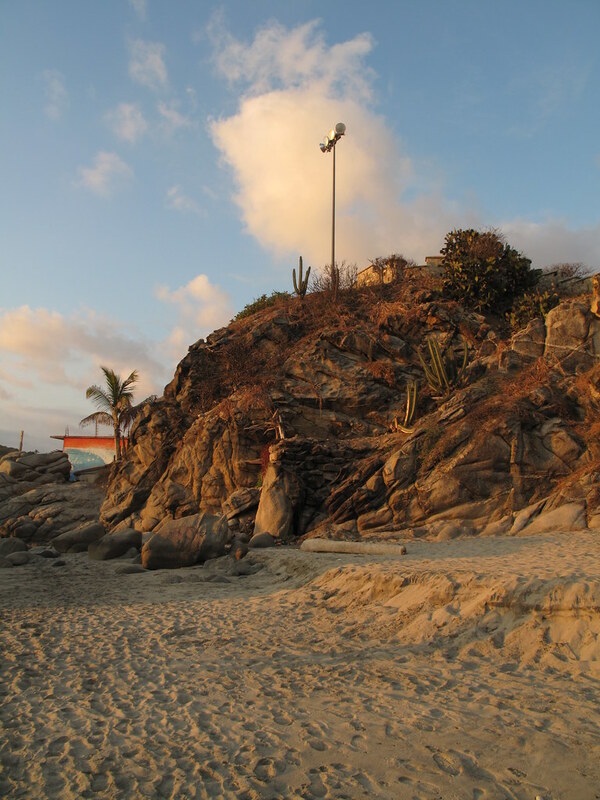 Over the course of the three months we spent in Puerto Escondido, many people commented on how many treasures the Earth provided. They spoke of the fertile, volcanic soil of the Pacific Coast, and the countless fruits and vegetables that grow in it. Heavenly mangoes grow in such abundance that our gorging on the golden ataúlfo variety from the market raised a few eyebrows. 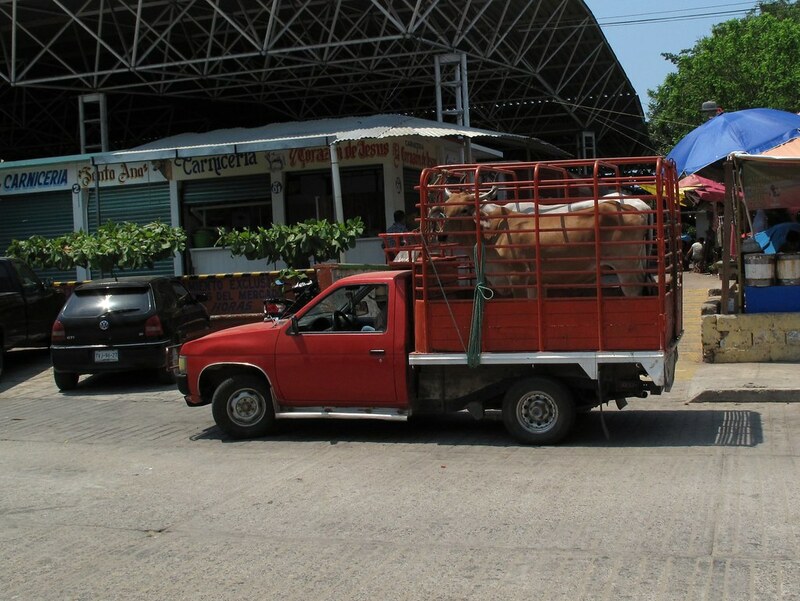 “When they’re in season, so many fall from the trees that cars just drive over them,” explained our friend Juana. 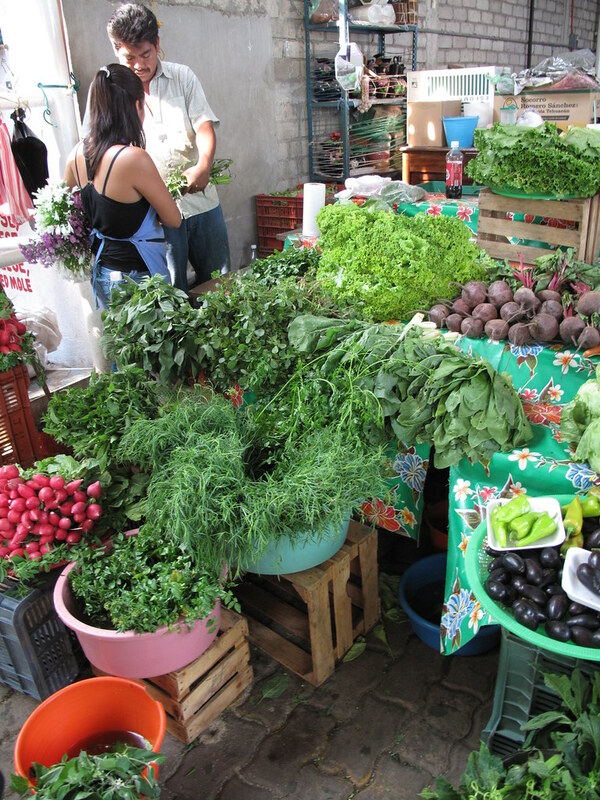 Besides mangoes, we found countless other treasures in Puerto Escondido’s municipal market. Lettuce, carrots, beets, crisp onions, sharp garlic. 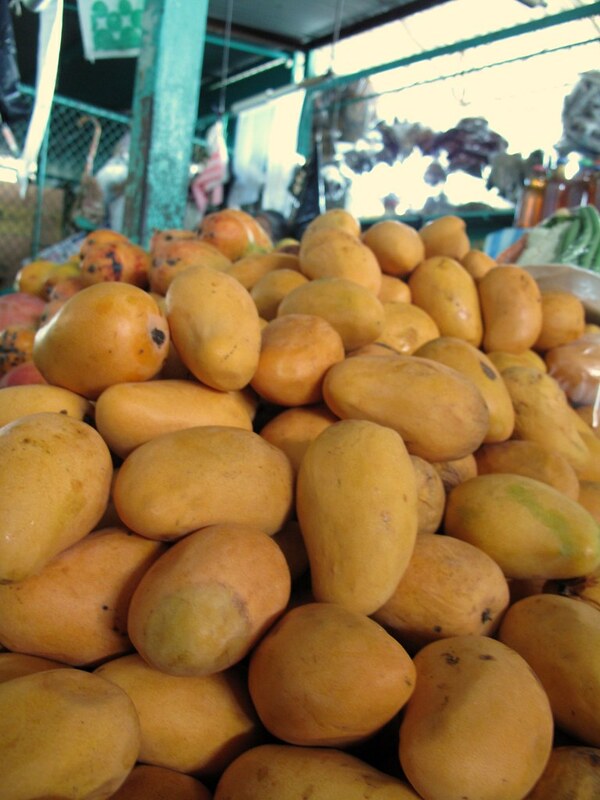 Watermelon, pineapple, various types of mangoes, shiny red tomatoes, bananas, juicy limes, mamey, and crunchy apples. But also fresh, local coffee; delicious roasted seeds and peanuts; dark panela (unrefined whole cane sugar); cinnamon; herbs and spices. 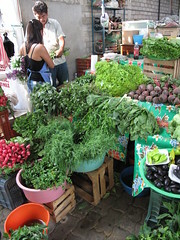 Dark leafy greens called hierba mora. 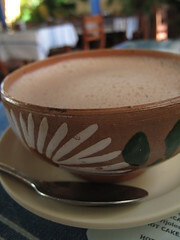 Oaxacan chocolate. Farm-fresh eggs, from chicken but also turkey and duck. Squeeky quesillo cheese. Mango and tamarind honey. All fresh, and amazingly local, often grown or raised by the person who hands you your change. 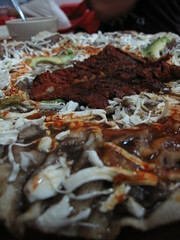 In other words, a foodie Heaven on Earth; and that’s just the stuff we discovered as we explored the rows of the market. 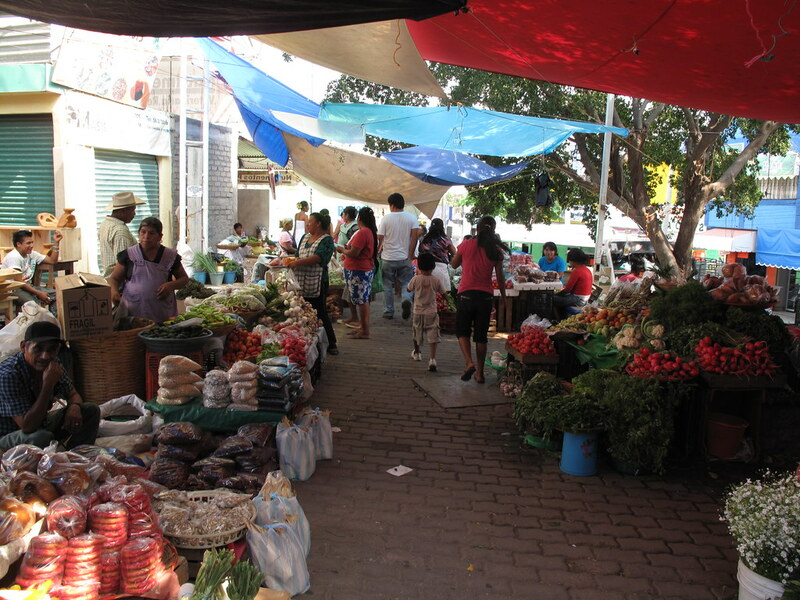 And so, sunset after sunset, market visit after market visit, meal after meal, we lived the life of the Puerto Escondido long-term residents. Our room on the second floor of Hotel Virginia, along with the communal kitchen, became our home. Juana, the kind and strong woman who handles the day-to-day at the hotel with her daughter Yesi, cooked fish, hierba mora or chicken liver for us, shared our mango smoothies and quesadillas, and taught me the basics of Mexican home cooking. Our friends Anuar, Nacho and Isa chatted and joked with us as I cooked huevos a la mexicana (scrambled eggs with tomatoes, onions and chiles) and cafe de olla (coffee with panela and cinnamon) in the morning, or when Helene conjured up a fresh vegetable soup at nightfall. Through their patient teasing, my Spanish improved by leaps and bounds. As the wet season approached, the mangoes began to fall, hitting the tin roof of the kitchen like a sack of bricks. 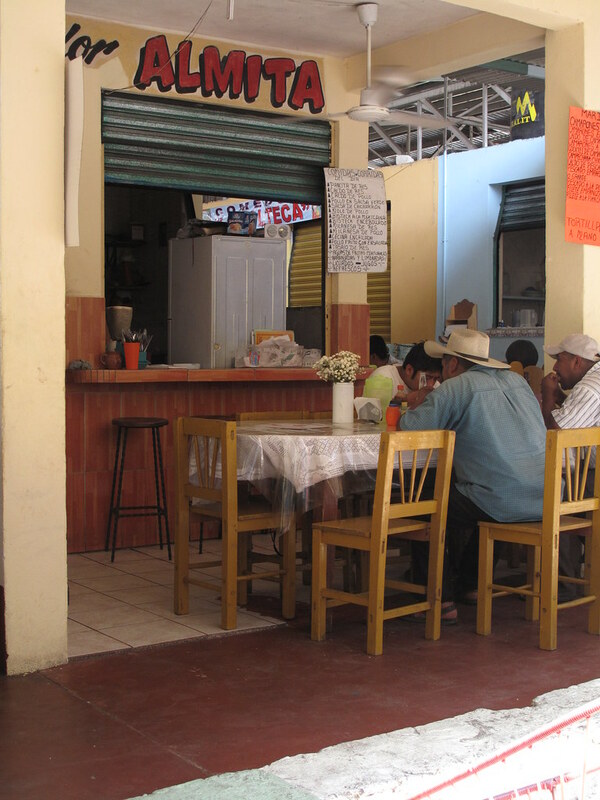 We ate breakfast, either homecooked at the hotel or at a restaurant near or inside the market. 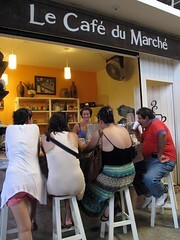 We stopped for espresso at Quebecois-owned Le café du marché, then returned to our room to melt from the heat under the ceiling fan. In the late afternoon the dampness and heat lifted, allowing us to stir again. We moved to the beach, laughed with the kind old woman who spoke less Spanish than me, played in the waves of the afternoon. And before we knew it, three months had gone by. The foreign tourists came and went, then the Mexican tourists too. The insanity of Semana Santa gave way to the quiet evenings of “Muerto Puerto”. And the time came for us to leave. Our hearts heavy, our eyes filled with the colors of friendship and plenty, we boarded the bus back to the big city. We will come back to this place. And until then, we will dream of it. Note: Unfortunately, Hotel Virginia has changed ownership since we stayed there, so I can no longer recommend it based on my previous experience. 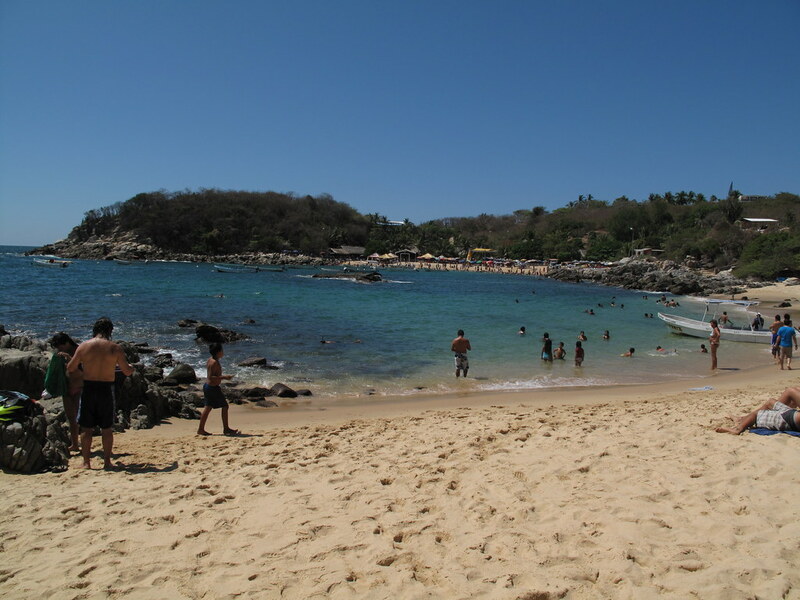 Puerto Escondido is located in the state of Oaxaca, two hours up the coast from Huatulco towards Acapulco. It can be reached easily by bus, including from Oaxaca or Mexico City. You can also reach Puerto by plane. The bus ride from Oaxaca has been described as ‘hellish’ and ‘vomit-inducing’, so consider it carefully; there are (more expensive) flights available on small planes from Oaxaca. I highly, highly recommend Hotel Virginia. For three months, the hotel was our home, and the many people who work and live there became our dear friends. The hotel itself is pretty, the rooms are clean and fresh, and the prices are excellent. If you’re looking for something cheaper than a room, the mattresses and hammocks on the roof are great value, featuring a ceiling fan, lockers, washrooms, and a great view of the ocean. Check out more pictures of Hotel Virginia on Helene’s Flickr set. If you go to Hotel Virginia, please say hi for us! We dearly miss our friends: Juana, Yesi, Lalo, Chuy, Anuar, Nacho, Isa and Juan, as well as the owner and administrator of the hotel, Alberto. ¡Les extraño, amigos y amigas! Many amazing beaches are reachable by foot from the main tourist area. 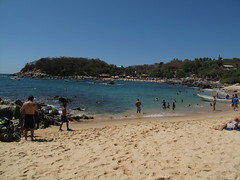 The most busy, and largest, is Playa Principal/Playa Marinero. This section of the beach is the most crowded, especially on weekends and holidays, and features a number of hawkers selling tasty and cheap snacks. The fishermen sell their fish in the morning roughly in the middle of the bay. Go at sunrise, and look for the crowds and the boats ramming the beach at high speed. To the east of Playa Principal is Zicatela, a famous surfing spot. The waves are huge and strong, and thus too dangerous to swim; but this is the site of the legendary “Mexican Pipeline”, and host to international surfing competitions. If you’re eager to learn to surf, you can pick up lessons or rent boards on Playa Marinero. You can also find beautiful Playa Manzanillo/Puerto Angelito, west of Playa Principal, a more intimate bay with clean water, and some good spots for snorkelling. Playa Principal is a great spot for swimming, but Playa Manzanillo is the most picturesque. There are many other great little bays further out, which we have spent less time exploring. If you’re hanging out at Playa Principal, Manzanillo or Zicatela, look for a kind man in a hat pushing a blue wheelbarrow and announcing “nieve de coco”: this is Enrique, and his creamy, homemade coconut ice cream is absolutely amazing. 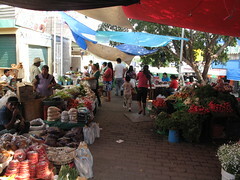 You’ll find the municipal market uphill, a fifteen minutes walk past the Super Che. Ask a taxi driver; or, if you’re staying at Hotel Virginia, catch the minibus (micro) marked “Faro”, which goes by every fifteen minutes. 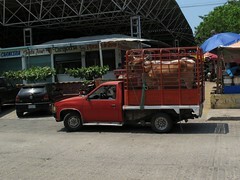 This bus will drop you right in front of the market for 5 pesos. There are simply too many amazing stalls in the market to recommend a single one. Try them all! On Saturday and Sunday, smaller producers set up shop on the edges of the market, offering mouth-watering, exotic fruits, vegetables and herbs. If you’re looking for a fantastic breakfast or late lunch, try one of the comedores that can be found on the edge of the market. 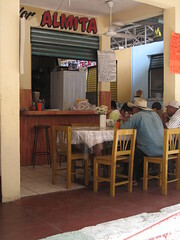 Or, check out Las Margaritas, on the same street as the market (ask for it.) You can also grab a juice at one of the many juice stands, or enjoy a great espresso and chocolate croissant at Le café du marché, run by two friendly, cheerful Quebec girls who have made Puerto their home. Great description!! 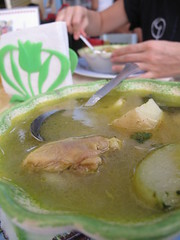 I am happy you enjoyed so much your stay in Oaxaca. What a great post – you truly captured the essence and beauty of Puerto. I’ve walked past Hotel Virginie many times but never been inside. I’ll be sure to pay them a visit and try to include them in the next update of the Puerto Escondido Travel Essentials mobile app – it sounds as though it’s got lots going for it. Hope you’ll be back again soon. Thank you for the kind words, Michele! 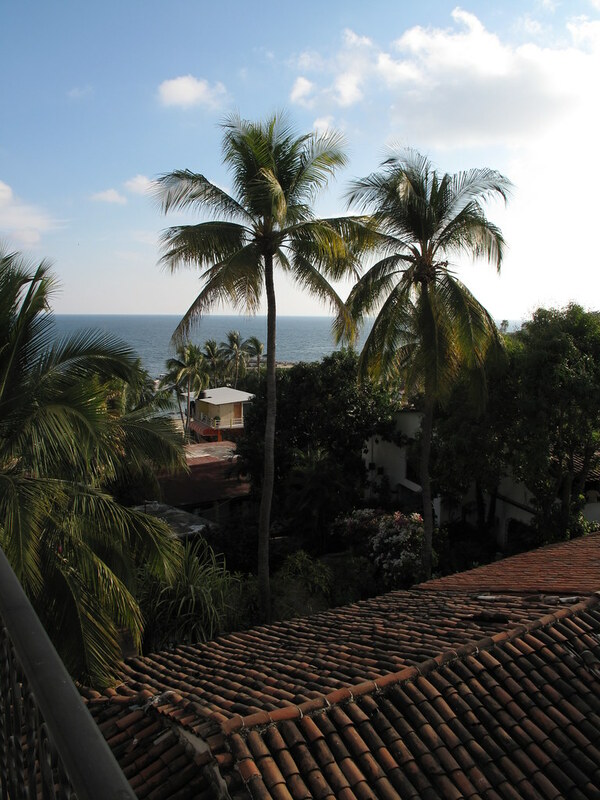 I haven’t been to Puerto Escondido in a while, and I really miss it nowadays… I miss the pace of life, the food, the people… Ah, I’ll be back! Unfortunately, from what I hear, the Virginia has changed ownership and even names, I believe. I don’t think it has much to do with the hotel I stayed at, unfortunately. I’ll amend my post to let readers know.